Thursday night has been marked by new clashes in the Kyrgyz capital Bishkek and police firing at protestors attempting to storm the Interior Ministry building. The latest violence has left around 70 people injured. All in all, since the beginning of the week 76 have been killed and almost 1,500 injured. The opposition has assumed control of the army and police. 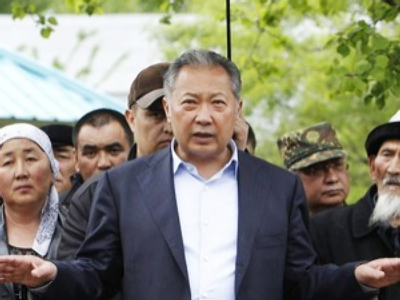 There are conflicting reports regarding what city President Bakiyev has fled to – either Osh, the country’s second largest city, or Dzhalal-Abad, both in the south of Kyrgyzstan. Early on Thursday, the opposition captured the local authorities’ building in Osh. The police guarding it did not resist and were ousted from the building. The opposition has also seized power in the cities of Batken and Bakiyev’s native Dzhalal-Abad. They later announced that the government has been officially dissolved and that the prime minister has stepped down. According to the constitution, for the next months the control of the country will be in the hands of the interim government. Roza Otunbayeva, head of the provisional Government of National Trust , said that a presidential election will be held in six months, AFP reports. Otunbayeva stated the new government is going to “immediately return illegally and cheaply sold strategic assets” and investigate the crimes of the Bakiyev regime. She has called on the people not to yield to provocations and remain calm. 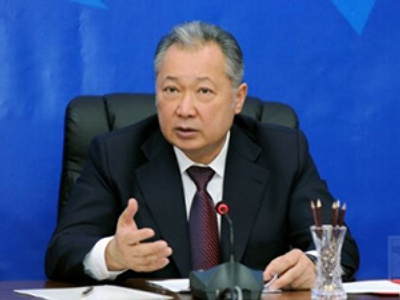 Omurbek Tekebaev, a member of the interim government, said in two months they will propose a new draft constitution. Meanwhile, fleeing President Kurmanbek Bakiyev told BBC Russia and Ekho Moskvy radio stations in interviews on Thursday that he remains a legitimate president, while condemning the opposition uprising. He added he was ready to start negotiations with the interim government. “If this so-called ‘temporary’ government that has appointed itself is prepared to begin negotiation talks, then I am prepared to listen to them,” he was quoted as saying. Since the early hours of Thursday, reports of continuing violence in the capital Bishkek have kept on coming: several buildings have been set on fire, including the governmental headquarters. The house of President Bakiyev was burnt on Wednesday. Looting and marauding have spiked amidst overall chaos. In an attempt to contain this, the interim government has deployed riot troops. Interim government Interior Minister Bolotbek Sherniyazov gave police permission to shoot at looters, Ria Novosti says. The US has announced that its embassy is prepared to evacuate its staff in case violence continues to escalate. Russia is sending 150 paratroopers to guard its Kant military base near Bishkek and says it is ready to evacuate family members of the base’s staff. There are conflicting reports as to whether or not transport and public services are functioning in the rebel capital. The mayor’s office says buses are running as usual. While most in Bishkek express shame at the looting, many blame ousted president Kurmanbek Bakiyev for putting people on edge. The recent increases in energy costs made it impossible for many to make ends meet. Nepotism and corruption are hardly new to this Central Asian country, but what hasn’t been seen here before is the use of force on such a scale. As local residents rushed to hospitals to donate blood for the wounded, many called president Bakiyev their blood enemy. According to Interfax, the Kyrgyz president’s son, Maksim Bakiyev, arrived in Washington on Wednesday, where he is expected to meet officials from the US National Security Council. The head of Bakiyev’s Foreign Ministry, Kadyrbek Sarbayev, is also in Washington where he has already met a top US diplomat. However, the United States said it would not take sides. The previous president of Kyrgyzstan – Askar Akayev – who himself was overthrown during the so-called Tulip Revolution of 2005, told RT that Bakiyev’s foreign policy was weathercock diplomacy. Maksim Ryabkov, Head of the OSCE Academy in Bishkek, says it is too early to make projections about the future of the interim government. “At this point, it is difficult to say whether they have enough resources…I wouldn’t put any probability on whether they are going to keep the shape in which they are now,” Ryabkov said.